Milan To End Allegri's Soap Opera This Week? This week could be a very decisive period for AC Milan’s future as news from Italy suggested that this weekend could be the week that the Allegri soap opera reaches its final phase. The confirmation of the key to answer many rumors regarding the club’s future can have a clear answers once the Rossoneri can confirm whether Massimiliano Allegri will indeed be their new coach or not. The delay of the new coach confirmation from Milan’s management has cause lots of new rumors spreading widely especially about the club’s players, from possibilities of new arrivals to speculation of departures all have been flooding the media this days and causes unrest among the team’s faithful fans. 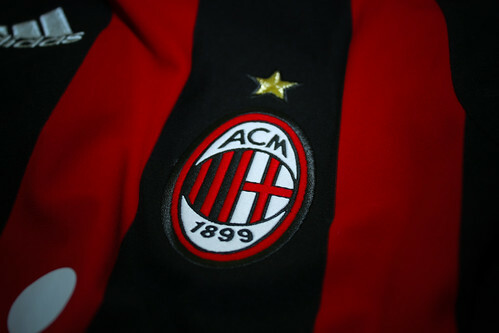 Surely if Milan can make things clear this weekend about who will actually be their new coach, other things regarding the players future will be much more bright as the club can decide the players that the new coach wants to buy and keep. Although earlier this month, the press were certain that Allegri will be the new Milan’s coach, especially with reports claiming he has manage to impress the Italian giant’s owner Silvio Berlusconi, things get a little bit blur after last week, Cagliari’s President Cellino stated a shocking statement revealing that he could keep Allegri for another year because he is disappointed with the young coach’s achievement last season. However, the Cagliari boss went on saying that he is still very much open in releasing Allegri to Milan but he would need to listen to what the Rossoneri’s director Adriano Galliani has to offer. I’ll probably release Allegri, but only if it’s Milan who ask me. Otherwise I’d really have to think about it…” the Cagliari President stated. It looks like Cellino is playing hard ball with the 7th time Champions league winner and forcing them to come up with better offer to seal the deal, reports said that the Sardinians would like to take Davide Astori, the young defender co-owned by them and the Rossoneri, permanently and also grabbing another Milan’s youngster Elia Legati as part of the deal. This talk about Allegri’s contract, reportedly is set to be done this weekend after Cellino arrived from Miami, USA. For those who is still unaware of the situation, Allegri who was being sidelined by Cagliari last season is actually still under contract with the Sardinians until 2011, that’s why he cannot confirm any deal with another club until he resolve the current situation. This caused Milan the need to discuss everything with Cagliari and making a deal to free the coach from his contract so he can join the Rossoneri next season. believe Milan should immediately solve this problem, sealing the deal with Cagliari and Cellino shouldn’t be a problem for the Italian giant as they do have a good relationship. By confirming Allegri’s situation as soon as possible, at least the Rossoneri has set an insurance to their players and fans about the team’s plan next season. This will definitely bring much more comfort and clear sign of who will be staying and leaving from the red and black squad, most importantly it will send a clear message for the club’s main rival Juventus and Inter Milan who have already revealed their new coaches.